These beautiful Birds of Paradise glass flowers are made of hand blown glass. 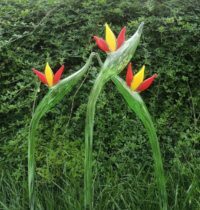 They stand 26-28 inches in height and will add a tropical beauty to your garden or home. 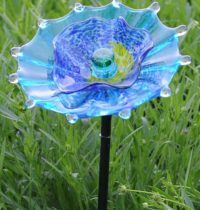 These Garden Flowers are hand blown glass, they have two flower shaped plates and a round center ball. 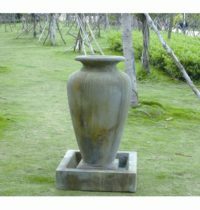 They are bright and whimsical and make any home or garden look cheerful. 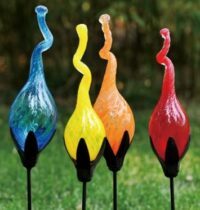 These adorable hand blown glass mini pods will brighten up your landscaping or garden. Comes in a set of 4 colors, pod stake is included.